Why stay at FAIRMONT 303? 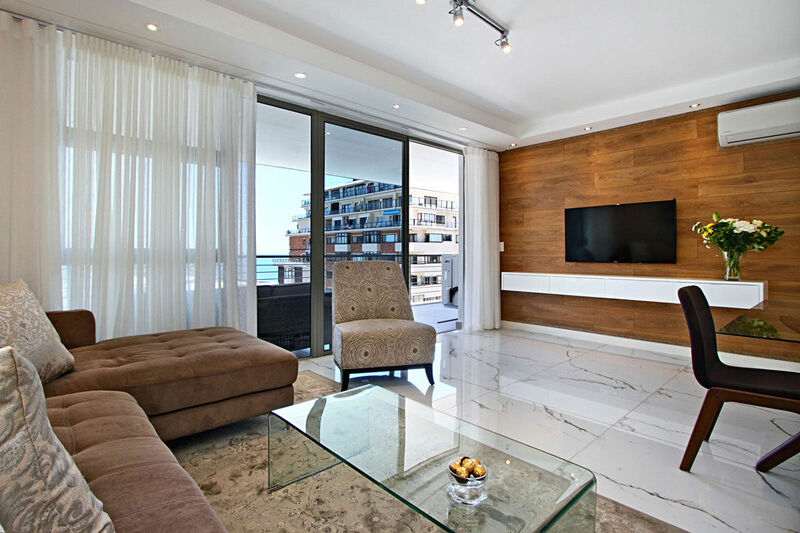 Situated in the brand new Fairmont in the heart of Sea Point on the Atlantic Seaboard, 303 Fairmont is a stylish and sophisticated holiday apartment, perfectly located for discerning corporate and leisure travellers wanting to enjoy Cape Town’s cosmopolitan lifestyle. 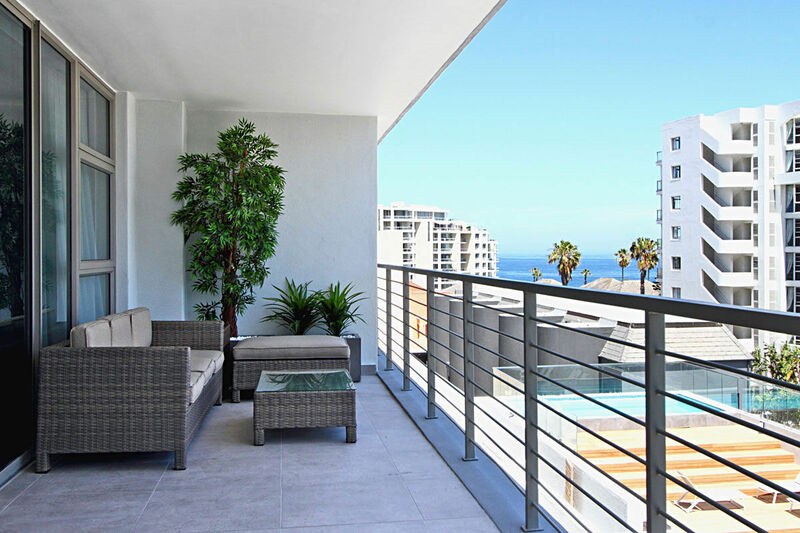 The two-bedroom apartment is modern and bright, boasting airy open-plan living spaces, two bedrooms and a private patio and barbeque area with gorgeous ocean views over the block’s communal swimming pool and garden and ocean. 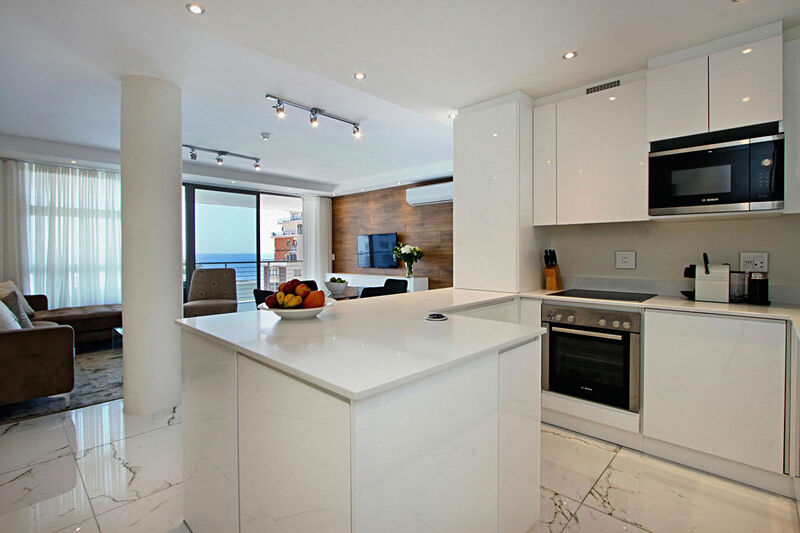 The apartment enters into the open plan kitchen and bright living spaces, which features a stylish dining area and comfortable lounge with contemporary chic décor and a state-of-the-art flat screen television. 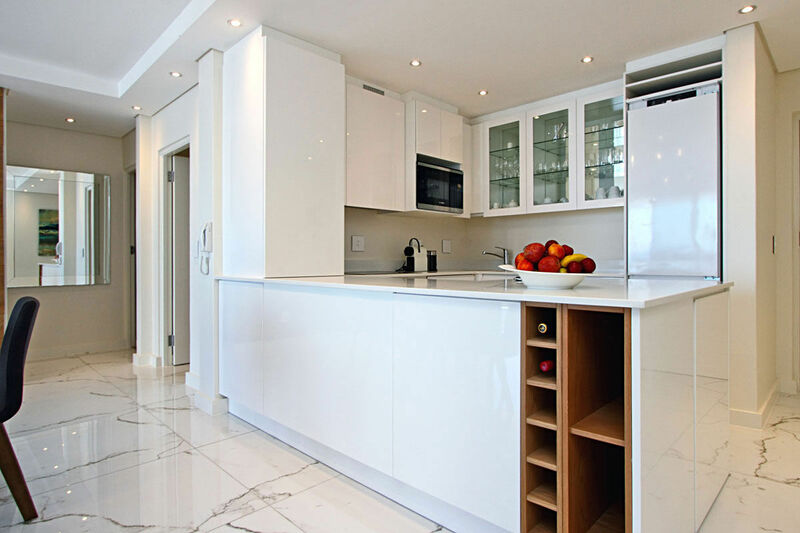 The fully equipped kitchen features top-of-the-range appliances, including a double fridge/freezer, oven and hob, microwave, dishwasher and washer/dryer combo. 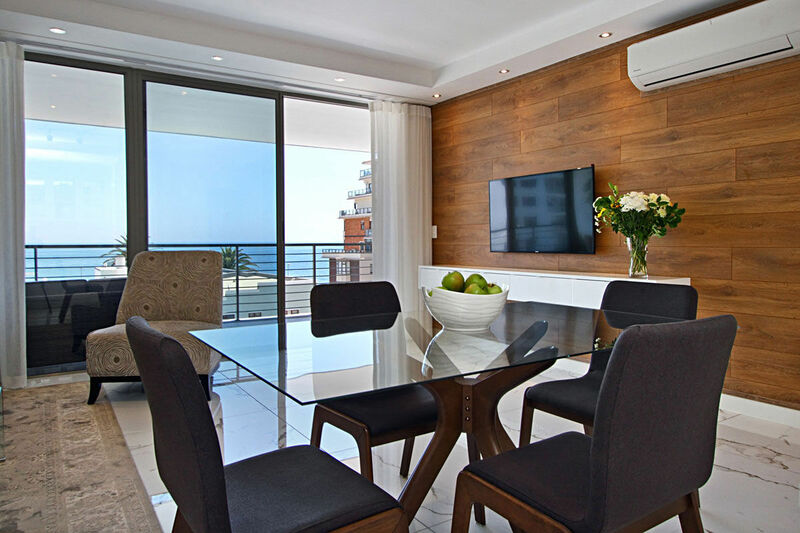 American shutters cool interior spaces and provide an added level of security while apartment’s living spaces flow out onto a private balcony that overlooks the swimming pool and garden and boasts outdoor seating and Weber gas barbeque. Guests have exclusive access to the private swimming pool within the block. 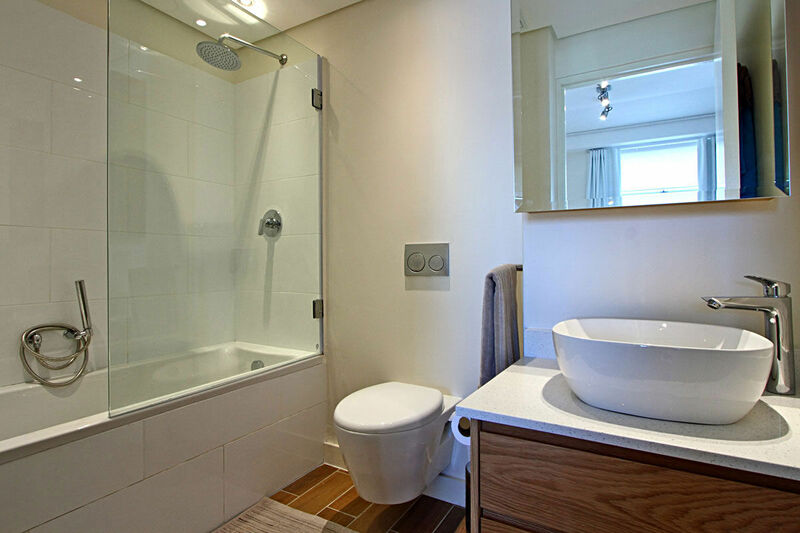 The two bedrooms are situated off the living area and are stylishly furnished in crisp neutral tones. 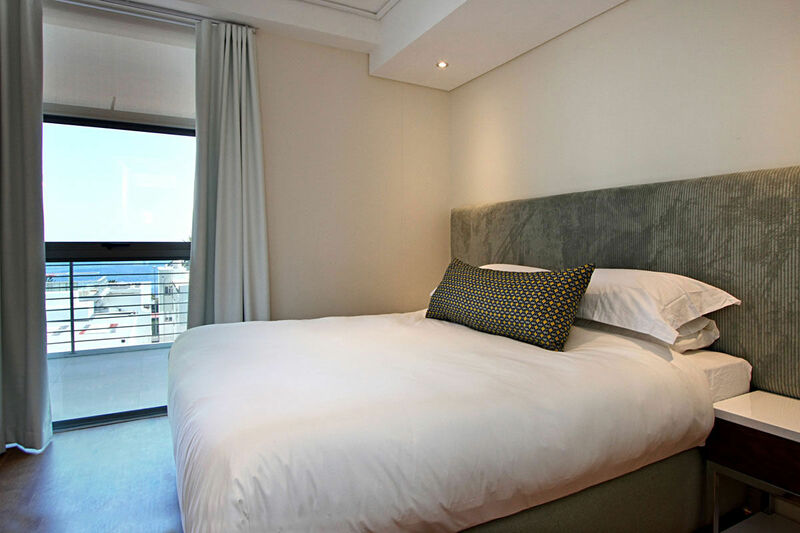 The master bedroom has a queen sized bed and an en-suite bathroom with convenient shower-over-bath, while the second bedroom is also a queen-sized room and has a dedicated bathroom with a shower that can second as a guest bathroom for visitors. The master bedroom has access to the private balcony and boasts beautiful ocean views, and both rooms enjoy ample cupboard and storage space. 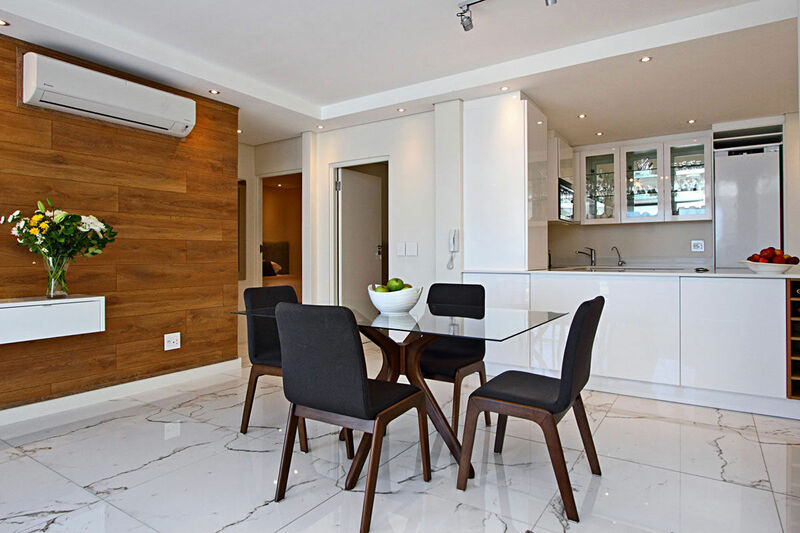 The apartment is situated within a secure block with off-street parking and has a dedicated parking bay. 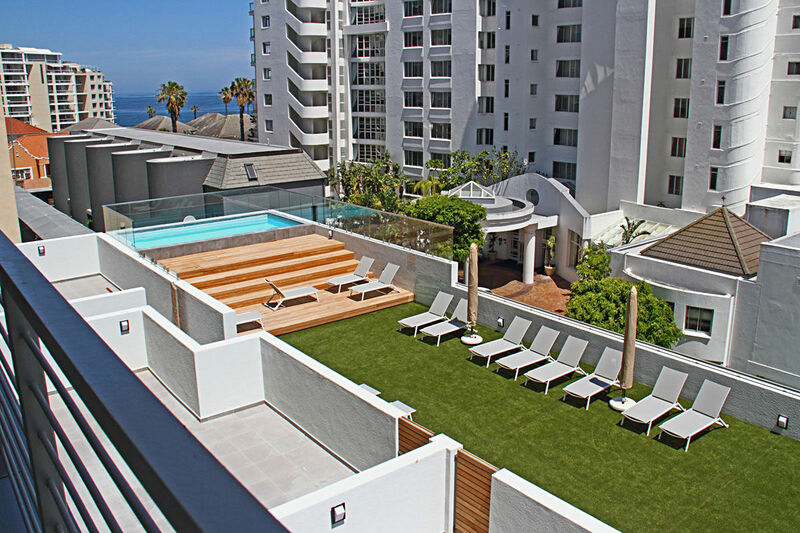 The Fairmont is located within walking distance of numerous shops, restaurants and cafés on the bustling main road of Sea Point and a short walk will take you to the beachfront and promenade. There is construction taking place in the area. Please get in touch for more info. Ready to stay at FAIRMONT 303?